Samsung teased a gold color variant of the Galaxy S9 and S9 Plus two days ago, and now it’s officially announced the availability. 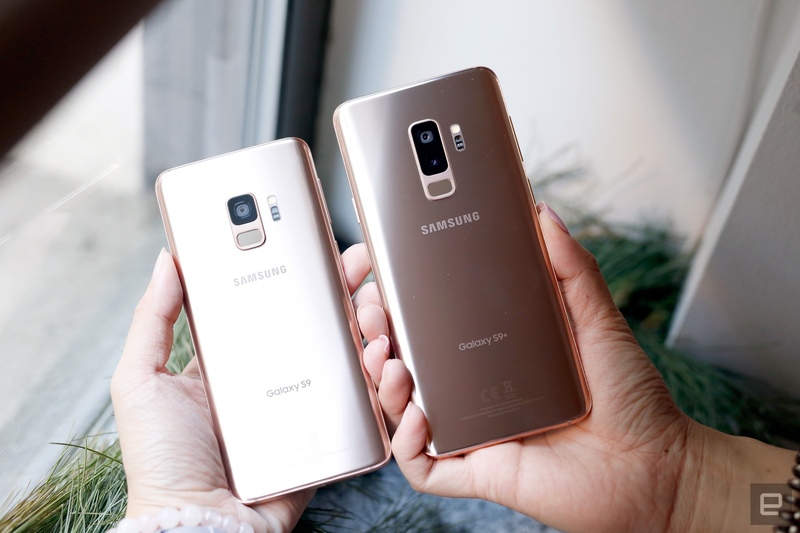 Starting June 24th, you’ll be able to get the “Sunrise Gold” version of the flagship at Best Buy (in stores and online) as well as Samsung.com. For those keeping score, that means the S9s are now available in four colors in the US — Midnight Black, Lilac Purple, Coral Blue and the new gold hue. Elsewhere in the world, folks can also get a silver version. We took an early look at the Sunrise Gold S9 and S9 Plus, which isn’t different from the original handset in any other way. You’ll get the same storage options (64GB, 128GB or 256GB) and features like the Dual Aperture camera, AR Emoji and Bixby updates are there too. The particular shade of gold on the S9 looks closer to a bronze in some light and almost brown at some angles, but for the most part it looked like a deep champagne. Samsung offering different color and design variants months after launching a flagship is a typical move by now. Earlier this year it launched an Olympic edition of the Galaxy Note 8, and it’s been making rose gold and pink versions of its phones for years. Other companies have been doing this too, like OnePlus, BlackBerry and more. It would have been more exciting to see Samsung introduce a different finish, like the gorgeous Twilight gradient on the Huawei P20 Pro, but meanwhile, I’m not going to complain about having more options to choose from.